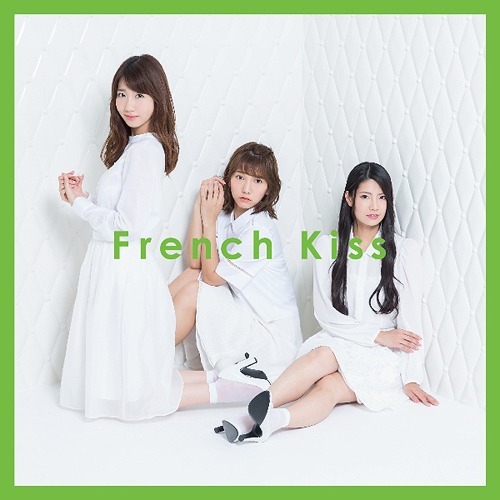 AKB48 Kashiwagi Yuki, Takajo Aki, and just-graduated Kuramochi Asuka, will end their subunit activities in French Kiss after 5 years. In commemoration, they will release a first and last album on 14th October. They will also hold a live show on 5th November at Saitama Super Arena, where 10,000 fans are expected to attend. The three decided to disband since they’re individually busy. “YamaP no Kiss Eigo” -a TV show which aims to improve Japanese people’s English in a fun manner, pranked AKB48 Minegishi Minami and Kashiwagi Yuki in last week’s episode, bringing their English skills to light. In the show, a foreigner speaking English would call up the girls, pretending to have found their manager’s/friend’s phone. See how each of them reacted below. Minegishi Minami appears to be quite flustered at first but quickly understood that her manager had lost his/her phone. When the foreigner was asking about the owner of the phone however, Minegishi shocked everyone by saying it belongs to her “slave”. She triple confirmed this statement, drawing laughter from everyone. The conversation reached a roadblock when they were discussing to meet. Minegishi could not understand the question “What are you wearing?” and had to request for “Kids’ English”. When describing her job as an AKB48 member, Minegishi also described it as a “slave”. Minegishi later confessed that she thought “slave” was a word meant for someone respectable, and that she had learnt it from Akimoto Yasushi’s lyrics. Minegishi Minami was asked to nominate another member to prank. The MC requested specifically for Kashiwagi Yuki(due to her scandal), noting that it is a special moment since both Johnny’s and AKB48 members are in the same room when they are making the call to her. Kashiwagi did not get the foreigner’s words initially and thought “this” was “busu”(japanese word for someone ugly). Their conversation was so focused on the word “this” that Yukirin thought she had found 1 ugly person. She forgot about this word later and miraculously understood that Minegishi had lost her phone. Their conversation progressed well with Yukirin replying mostly in Japanese, prompting the MC to describe her as a obaasan(probably cos only youngsters would reply in English). When the prank was explained to Kashiwagi, the MC asked her if she was feeling irritated since she kept mentioning “busu”. Perhaps this was a subtle hint at her scandal but Yukirin deflected it by saying she’ll continue shopping. A scene of AKB48 Kashiwagi Yuki shedding tears during a Team B theater performance on the 22nd June 2015 has gotten mixed reactions from the fans. This happens after photos of her with NEWS Tegoshi Yuya was published in Bunshun recently. In the performance she’s seen hiding her face and seemingly weeping whilst in the middle of a song. The YouTube video has garnered over 400,000 views with most logging snide comments. Some unconvinced fans posted “can’t see her tears” and “isn’t that fake”. On the hand, some fans were shocked to see this side of Kashiwagi, as she is not the type to show her emotions in public. Perhaps this is due to the song “Shonichi” being performed at that time, which is a meaningful song especially for the 3rd generation and original members of Team B. Idol magazine writer predicts that AKB48 Kashiwagi Yuki’s camp might continue to remain quiet about her scandal, or respond to it, and if there’s a X-Day to it, that would be around 12th July 2015. Being a CM character is an important job in itself, but Kashiwagi is someone who is known to have a great love for her hometown, so there are expectations from the Kagoshima community, and the ‘debt’ of receiving a considerable amount of taxes. If it ends up that the image of the tourism ambassador is tarnished, it might also affect the prospects of her juniors. Speculations are that this is a move to avoid drawing more attention to the scandal since NEWS Tegoshi Yuya will be attending.Furthermore, members like Takahashi Minami, Kojima Haruna, Kawaei Rina and Shimazaki Haruka were recently slotted for a theater performance that night, making fans wonder why their schedules were cleared suddenly. A reporter thinks this could be due to member Matsui Sakiko’s graduation performance, but it could also be linked to the scandal. Especially when Kyary Pamyu Pamyu, who was caught on a late night date with Tegoshi Yuya last year, will also be attending with her boyfriend, vocalist of Sekai no Owari, this could very well turn out to be a “love square” broadcast. NEWS and AKB48 are also scheduled to appear on TV Tokyo’s Music Festival on the 24th June 2015. However, AKB48’s parts will be recorded whilst NEWS will appear live, so there is no chance for both groups to meet. Comedian act London Boots Tamura Atsushi revealed his wish for AKB48’s Kashiwagi Yuki to appear on their radio show next week, following reports of her alleged relationship with NEWS Tegoshi Yuya. Kashiwagi has resumed posting work-related updates on Twitter but maintains her silence on the scandal.